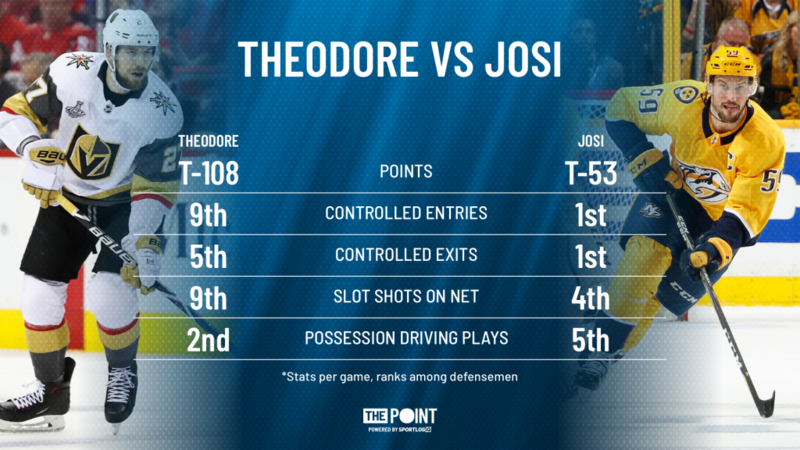 Point Shot: Elite Puck Movers Face Off Tonight in Nashville - The Point Data-driven hockey storytelling that gets right to the point. 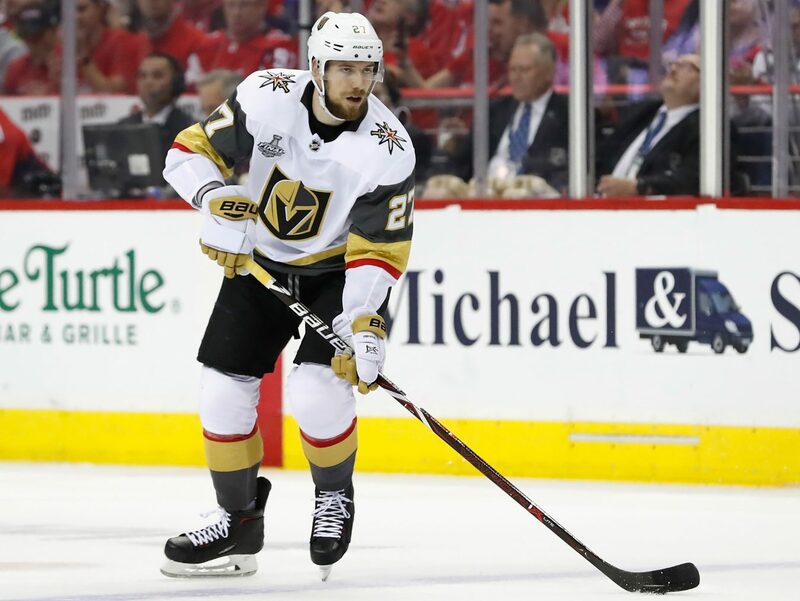 Heading into tonight’s clash of Cup contenders, Vegas’ Shea Theodore and Nashville’s Roman Josi have both been off to slow starts on the score sheet, with two and four points, respectively. However, this doesn’t mean they have been playing poorly, far from it. They’ve actually been two of the best puck movers in the NHL, transitioning the puck at an elite level for their respective squads. Points aren’t everything and these two players are the perfect example. They help their teams get out of the defensive zone and transition to offense at an elite level. They also generate dangerous shots at a very high rate for blueliners. Points are likely to follow sooner than later, but even when they don’t, there’s no denying they bring a unique skillset every night. Seeing them go head-to-head should be a lot of fun tonight!